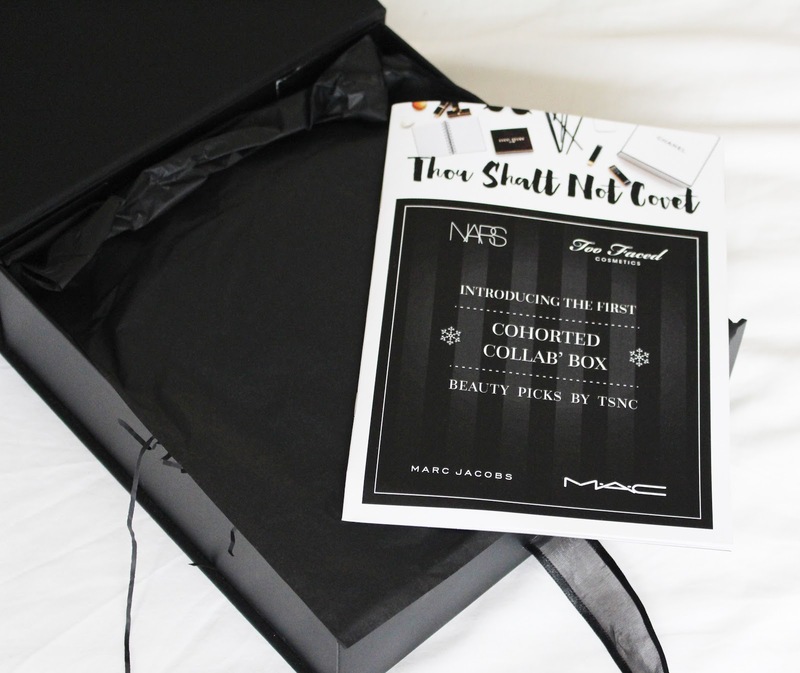 Oh yes, this is now my third Cohorted beauty box. Anyone would think that I really love them right? 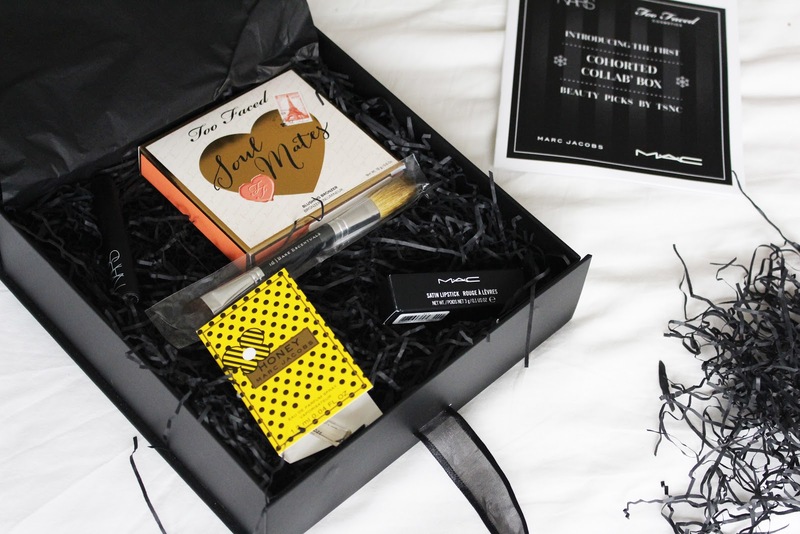 I just can't praise this particular beauty box enough. I really have received some luxurious gifts! I have now cancelled my monthly subscription (because of having no money and all that..) but I'm sure I will subscribe again in the new year because I do love them that much. December's edition was a very high end box and I am still excited about what I received in it. 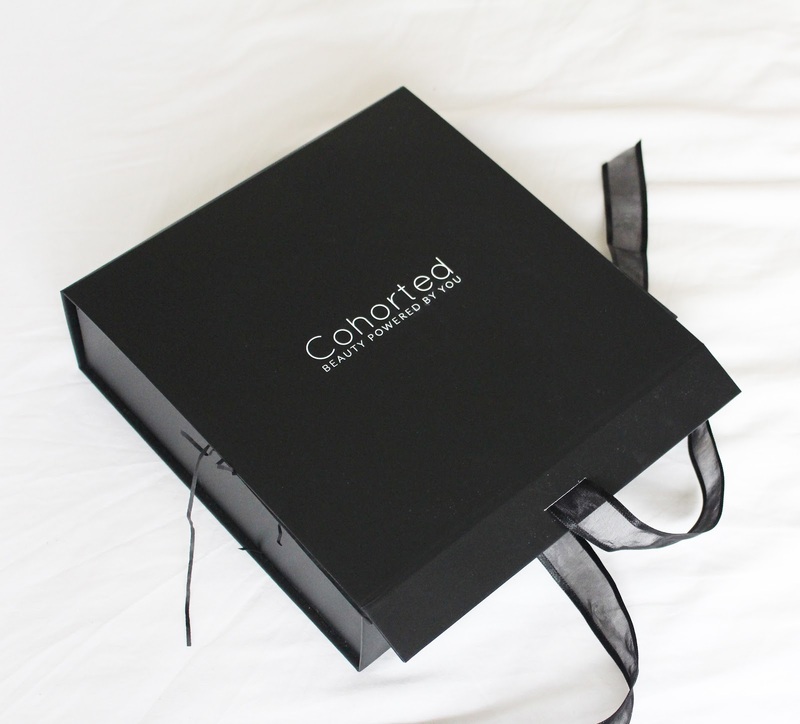 If you haven't already checked out Cohorted then I highly advise that you do, it's such an amazing website! The first treat that I got (or should I say grabbed!?) 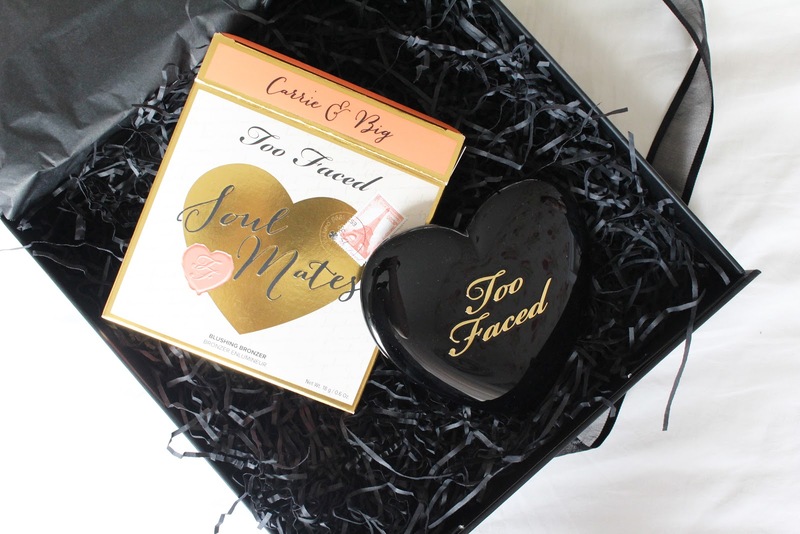 out of the box was this beautiful bronze/blush duo from Too Faced. 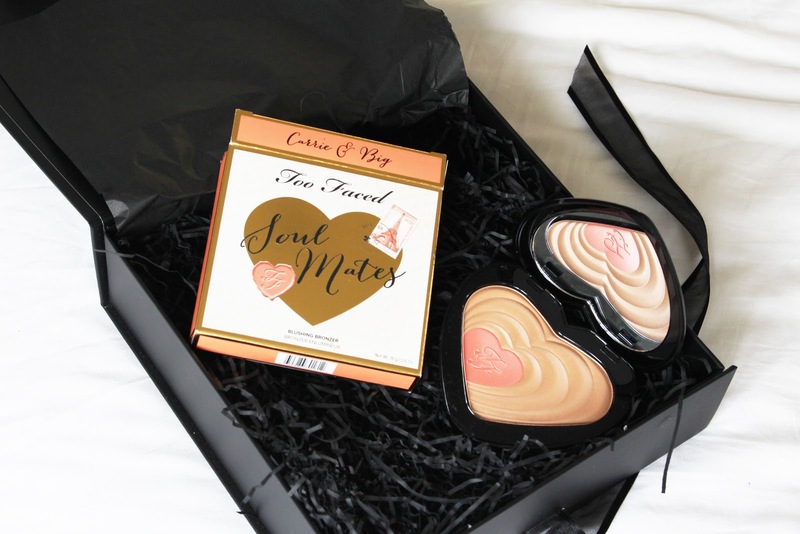 I have definitely had my eye on this product for some time now but it just ended up being one of those makeup items that I wanted and never actually purchased, so it is very safe to say that I am super happy with this one! I tried this out for the first time last week and it's such a gorgeous shade! 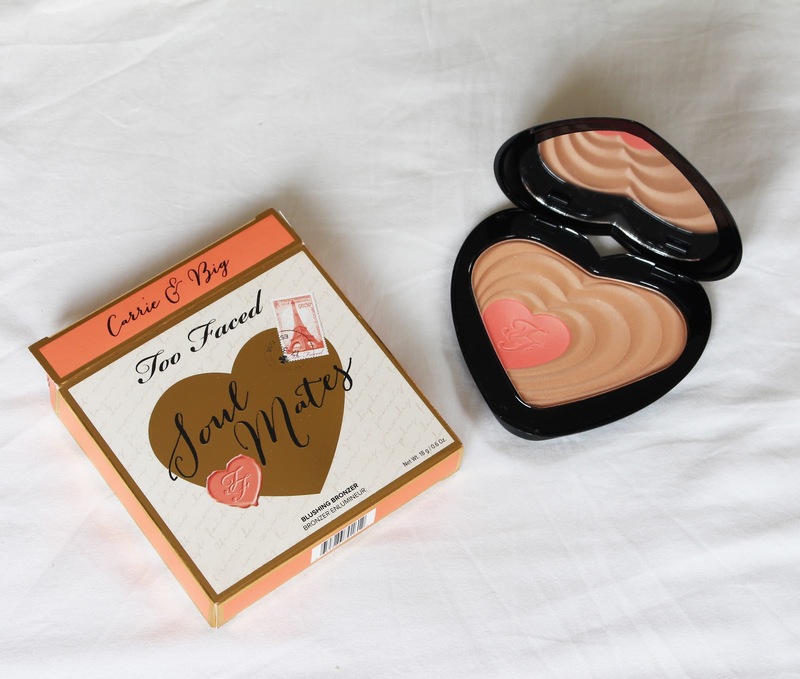 I would recommend using this bronze/blush duo as a blush colour as the bronze shade is a little too orange for me. It also has a little shimmer in it which is gorgeous. The next item is a lipstick from MAC. The shade is Rebel and, if I am correct, I believe that this particular shade is quite popular. I know I have seen it floating about and I have always wanted to try it as it's this gorgeous true purple colour that is just perfect for the Autumn months - I know we're past Autumn now, but I will still wear it nonetheless. 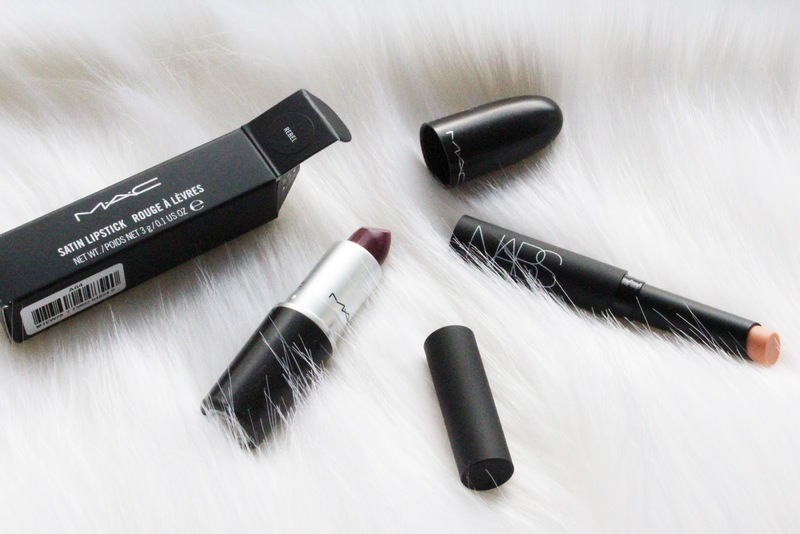 I have always wanted to try lots of products from Nars but, again, have never got around to it. I'm one of those people that likes to try new things but never does.. My first purchase from Nars was the Sheer Glow foundation which I absolutely love, so I was intrigued to see a little lip balm type product within my box. Nars products are highly rated so I'm sure that I won't be disappointed by this one. Lastly, I received this Bare Escentuals double ended brush - one end is a flat eye shadow brush and the other end is a blush brush. I have never tried a double ended brush before, mainly because I'm not a huge fan of placing one end at the bottom of my makeup pot in fear of it being ruined. However, I'm not too fussed as I can't imagine that I'll use the shadow end of the brush much as it's a little too big for my eyelid. I have used the blush end as a contour brush rather than a blush brush as the shape of it is perfect for fitting perfectly into the hollows of my cheeks. 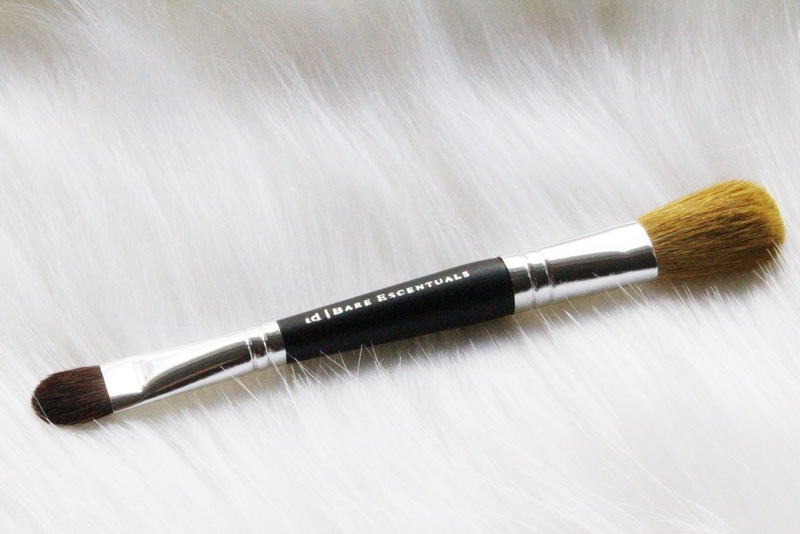 This brush is super soft as well which is always a bonus. An added cute bonus was this little mini sample of 'Honey' by Marc Jacobs - the fragrance of course. I have tested this perfume before as I own both 'Dot' and 'Daisy Dream' by Marc Jacobs and I'm absolutely obsessed with them. 'Honey' is a very sweet but musky scent and would be perfect for the Autumn months. Also, the bottle is just as cute as the other two and is a gorgeous yellow shade, obviously. I was completely over the moon when I received December's beauty box in the post and I'm very happy with what I uncovered inside the box. 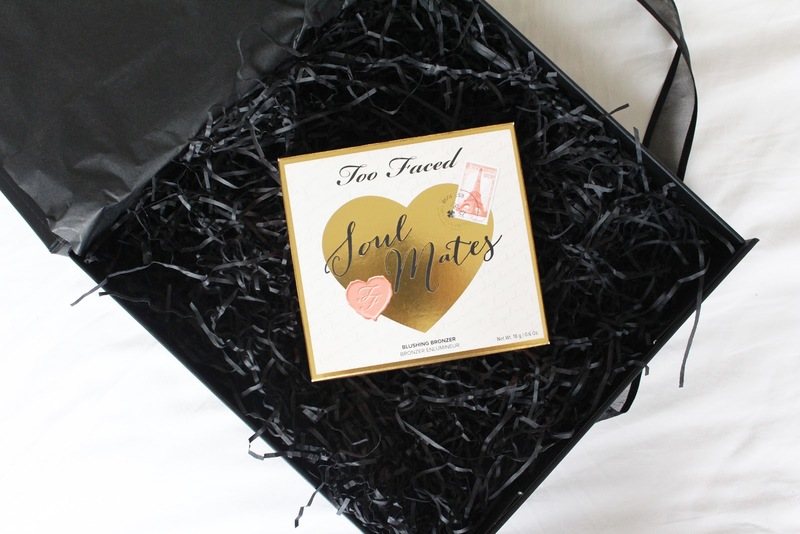 I'm sure you will see plenty of posts with in depth reviews of some of the products from all of the beauty boxes I have featured in the past couple of months. I would love to know if there are any products in particular that you would like to hear more about and see swatches from, so be sure to let me know if you do! That MAC colour looks amazing!